Pakistan’s left-handed batsman, Fakhar Zaman gave credit to head coach Mickey Arthur for bringing him in the Test format. 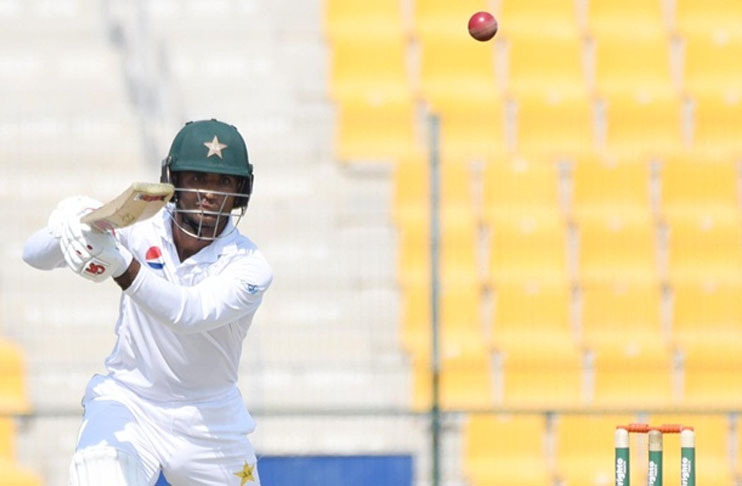 Dashing limited over batsman Fakhar Zaman who started his Test career with a bang, scoring 94 and 66 in the ongoing test against Australia, said that Mickey influenced him to mark his entry in Test cricket. “Mickey worked hard on my techniques to bring me in Test cricket,” said Fakhar. “Mickey told me during the tour of UK that he wants to make me ready for the Test cricket as soon as possible,” added Fakhar who was the part of National Test squad which played two-match Test series against England in June. The left-handed opener further said that the wicket in Abu Dhabi is helping spinners to deceive batsmen with different variations. “Spinners are getting the most of this pitch as they got ample break while bowling,” Fakhar said. Fakhar said that he and Usman Salahuddin were returning to the country to take part in domestic cricket but unfortunately Imam got injured. “I wanted to go and play domestic matches but after Imam’s injury made my place in the playing XI,” he said. The 28-years-old Fakhar said that the pitch matters the most while playing any format of the game. “I think wicket play an important role in your performance. Here it was a flat track but later started breaking so I played accordingly,” he said. Fakhar rated Pakistan’s position in this Test better and thinks that by scoring 100 to 150 more runs will make their position strong. “I think 100 to 150 more runs will be enough to put visitors under pressure,” said Fakhar who hopes for a series win.